Looking for some fun ways to impress the people at your table this thanksgiving? Here are some fast Thanksgiving facts that will impress and baffle your guests. Why not wow them with your vast, and seemingly useless, knowledge of not only thanksgiving but turkeys as well. The first Thanksgiving was held in the autumn of 1621 and included 50 Pilgrims and 90 Wampanoag Indians. The first Thanksgiving lasted three days. Many historians believe that only five women were present at that first Thanksgiving. Many women settlers didn’t survive that difficult first year in the U.S.
Thanksgiving didn’t become a national holiday until over 200 years later! Sarah Joseph Hale, the woman who actually wrote the classic song “Mary Had a Little Lamb,” convinced President Lincoln in 1863 to make Thanksgiving a national holiday. She wrote letters for 17 years campaigning for this to happen. 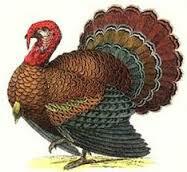 No turkey on the menu at the first Thanksgiving: Historians say that no turkey was served at the first Thanksgiving! What was on the menu? Deer or venison, ducks, geese, oysters, lobster, eel and fish. They probably did eat pumpkins but no pumpkin pies. The pilgrims also didn’t eat mashed potatoes or cranberry relish. They probably ate cranberries. And no, Turduckens (a turkey stuffed with a duck stuffed with a chicken) were nowhere to be found during that first Thanksgiving. No forks at the first Thanksgiving! The first Thanksgiving was eaten with spoons and knives but no forks! That’s right, forks weren’t even introduced to the Pilgrims until 10 years later. Forks weren’t a popular utensil until the 18th century. Thanksgiving is the reason for TV dinners! In 1953, Swanson had so much extra turkey (260 tons) that a salesman told them they should package it onto aluminum trays with other sides like sweet potatoes and the first TV dinner was born! Thanksgiving was almost a fast — not a feast! The early settlers gave thanks by praying and abstaining from food. They planned on doing to celebrate their first harvest, that is, until the Wampanoag Indians joined them and (lucky for us!) turned their fast into a three-day feast! Presidential pardon of a turkey: Each year, the president of the U.S pardons a turkey. He spares it from being eaten for Thanksgiving dinner. The first turkey pardon ceremony started with President Truman in 1947. President Obama pardoned a 45-pound turkey named Courage. Courage was has flown to Disneyland and served as Grand Marshal of the park’s Thanksgiving Day parade! Why is Thanksgiving the fourth Thursday in November? President Abe Lincoln said Thanksgiving would be the fourth Thursday in November. In 1939 President Roosevelt moved it up a week hoping it would help the shopping season during the Depression era. It never caught on and it was changed back two years later. The Macy’s Thanksgiving Day Parade began in 1924 with 400 employees marching from Convent Ave to 145th street in New York City. No large balloons were at this parade, as it featured only live animals from Central Park Zoo. Turkey isn’t responsible for drowsiness or the dreaded “food coma.” So what is? Scientists say that extra glass of wine, the high-calorie meal or relaxing after a busy work schedule is what makes you drowsy! How did the tradition of watching football on Thanksgiving start? The NFL started the Thanksgiving Classic games in 1920. Since then the Detroit Lions and the Dallas Cowboys have hosted games on Turkey Day. In 2006, a third game was added with different teams hosting. Wild turkeys can run 20 miles per hour when they are scared. Domesticated turkeys are bred to be heavier and can’t run quite that fast. Benjamin Franklin wanted the turkey to be the national bird, not the eagle. Americans eat 46 million turkeys each Thanksgiving. Neil Armstrong and Buzz Aldrin’s first meal in space after walking on the moon was foil packets with roasted turkey. The heaviest turkey on record, according to the Guinness Book of Records, weighs 86 pounds. 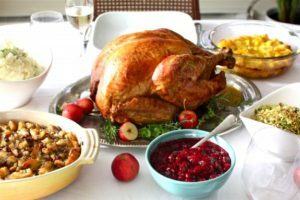 Californians consume the most turkey in the U.S. on Thanksgiving Day! Female turkeys (called hens) do not gobble. Only male turkeys gobble. The average turkey for Thanksgiving weighs 15 pounds. Campbell’s soup created green bean casserole for an annual cookbook 50 years ago. It now sells $20 million worth of cream of mushroom soup. 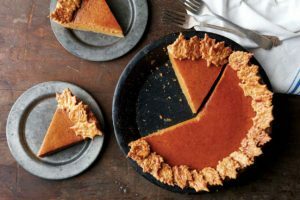 Thank you Allparenting.com for the incredibly cool Thanksgiving facts! This entry was posted in General and tagged allparenting, facts, Thanksgiving, thanksgiving activities, thanksgiving ideas, the boys store, turkeys on November 19, 2016 by Lacy. Thanksgiving is a time to be thankful and share our gratitude with others. Everyone has a reason to be thankful, from the youngest to the oldest in our family. So why not share those fantastic reasons with one another this season with a “I’m thankful for” printable. These fantastic free printables are perfect for adding to your thanksgiving tables this year. Simply print copies for every place at the table, supply some pencils, crayons, or markers, and allow everyone an opportunity to fill theirs out. You can even take a moment at dinner or after dinner to share them with one another. This simple gesture is a great way to not only share why we are thankful. It is also a way to learn more about your family and friends this thanksgiving. Help your little ones fill it out, or let them color and draw pictures to tell a story about the things they are thankful for this year. It will quickly become a fun game to show and tell everyone and just might become your new favorite thanksgiving tradition. Click the image below to reach the I’m thankful for printable page. Thank you R&R Workshop for this fun free “I’m thankful for: printable. This entry was posted in Activities and tagged family traditions. R&R workshop, printables, thankful, Thanksgiving, thanksgiving ideas, the boys store, traditions on November 10, 2016 by Lacy.